The Egadi excavations have dredged up what may be a Carthaginian helmet from the Egadi battle site. Here reported on Archaeology News Network. Battle of Mylæ as seen by Look and Learn. Egadi may have been a ramming rather than boarding battle but there were still plenty of deck troops on both sides. 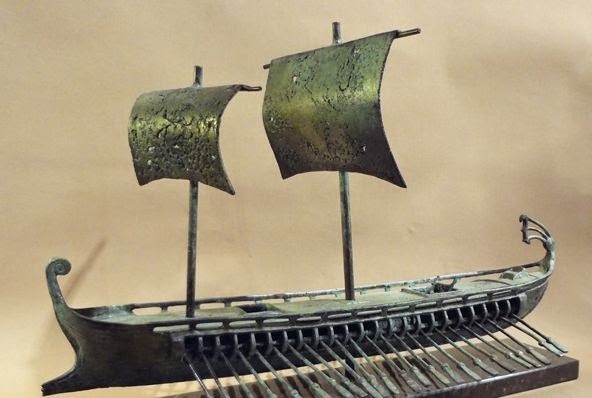 Some very attractive model triremes in bronze produced for 'It's All Greek'. And much else besides if you have some dosh burning a hole in your pocket. 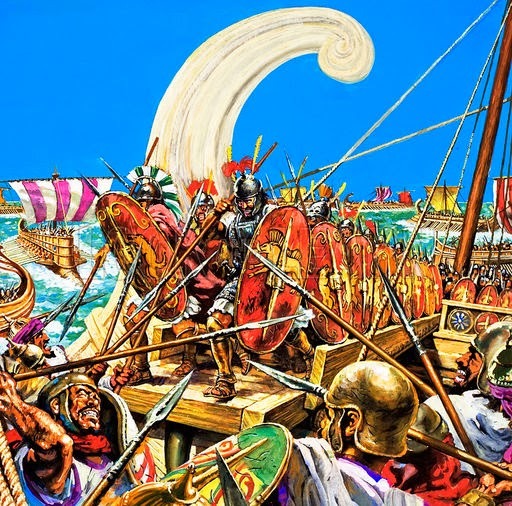 Great to add atmosphere to a trireme wargame. 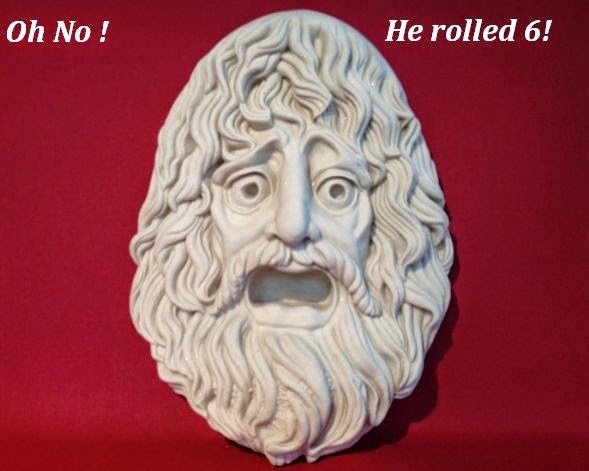 Why not play with a dramatic mask available to reflect your emotions as the Fates play with you. With the money saved by using card ships this is possible !